You’d be hard pushed to find a superhero in the Marvel Cinematic Universe without a bulging set of muscles below the surface of their tight lycra outfit. Besides the opening sequences of The First Avenger, that is. Chris Hemsworth’s Norse god is the biggest gymrat of the lot, but he could face some serious competition for his trilogy-closer Thor: Ragnarok. 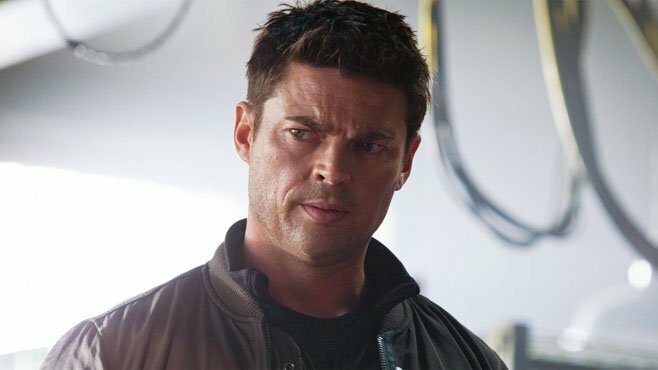 One of the recent additions to the sequel’s growing cast is Star Trek Beyond‘s Karl Urban, who signed up back in May alongside Jeff Goldblum. As Skurge the Executioner, Urban’s got his work cut out for him. The former thorn in Thor’s side – at least in the comics – will be on hand to aid his fellow Asgardian in defeating Cate Blanchett’s villain, Hela. You don’t simply overthrow powerful baddies in the MCU without being able to deadlift about 2000 lbs though, which it sounds like Urban’s getting ready for. But what about his diet, will he be on a strict Hugh Jackman-esque chicken-only mealplan? Skurge might be keeping his shirt on, but if we’re to believe he can swing about an axe like it’s no big deal, then Urban’s definitely going to need those guns. Judging by all the Thor: Ragnarok activity on social media, it won’t be long until we get our first glimpse at the beefy Asgardian. Let’s hope so at least; the Taiki Waititi-directed movie isn’t due to hit cinema screens until November 3, 2017.